We are now completely out of the shadow of Mercury retrograde, shaking off the remnants of the Cardinal Cross and we have crossed into a forward moving Saturn! This all foretells of a positive, more graceful August. Manifestation will be easier and quicker so we must pare down what we wish to create. 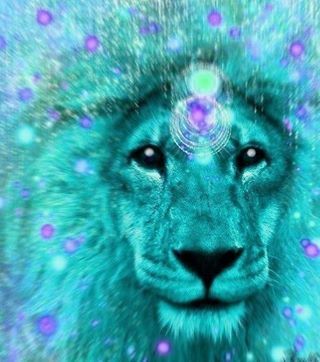 Our creations will take on heart centered Leo love energy, providing goodwill for all, when we focus attention on it. Shifting goals into personal and global lists can be a powerful way of manifesting for ourselves and the human tribe at large. We are expanding, evolving and are very powerful when we learn how to FOCUS. This new moon illuminates energy on the needs of the entire world in a heart centered way because it falls in Leo. What are we creating that is heart-centered? Have we examined our compassionate nature? Do we love what we do every day? Can we feel our hearts expand to include others in a more meaningful way? Do we live in the now? Expectation is a tricky devise. Being open to realize and work towards our goals as they shift, turn and sometimes detour, is just part of the wild ride of life. Most times those big detours are created by our angels and the Divine in our own hearts to help us grow. So let’s have a grand time and make it all Funtastic!!! Lighten up and enjoy Summer! Major blessings to you!!! The full Super~ moon in Virgo is a dynamo! One of three big, full super -duper moons this summer. So much illumination. Integration time needed for many. So take time to rest ALOT. Time to get things done. Sure there is always a release on full moon cycles, yet there is some big moon news here. We aspire to be better people with much Angelic guidance available. Let’s tap into our AGS ~ Angelic Guidance System~ and make it a daily habit. For we are what we do daily, aren’t we??? Let’s get grounded in the stars and wakeup to DIVINE reality. Our DNA is retooling itself with each lunar and solar activation. By now, we understand that we are in for a hold on tight scenario, cause this train has left the station! Yep, its fast track evolution. Exciting times! What does this mean for us on a daily basis?? Rest, get into water, do our spiritual disciplines that connect us to our personal AGS, be kind, instead of pushing let things come to us, learn how to manifest. Abundance is always attracting what we need when we need it! Think about the over stimulation in our lives. What is right for us is always a personal decision yet our bodies are a direct line of divine communication. Illness tells us to change our daily habits. Enjoy these Super~Full Moon activations. They are miracles, so slow down and let them work their magic on you!